One of the most unique features of the Commercial Banker Development Program (CBDP), our rotational training program for recent college graduates, is the opportunity to fully engage in placements within Commercial Banking’s underwriting and portfolio management teams, as well as product partners in the business. After three months of credit, accounting and finance training in the classroom, CBDP associates rotate through two business lines and with one functional partner. At the end of the year-long program, they are placed into permanent roles in Commercial business lines, which range from our Middle Market group to the Oil & Gas industry vertical. Participants have the opportunity to learn about all the functions of the business, experience how departments work together and build relationships across the Commercial Banking organization. We sat down with two of our CBDP associates to ask them about their experience rotating through our Global Markets group, which helps clients protect the value of their capital against the effects of rising interest rates and volatile foreign currency rates. They were also joined by a Global Markets analyst who participated in the CBDP classroom training. Hear what they said! One of the most notable opportunities during my time in the CBDP was the opportunity to participate in a month-long rotation in Global Markets, the Interest Rate Derivative (IRD) and Foreign Exchange (FX) group within Citizens. During my rotation, I worked closely with both the IRD and FX teams, and made meaningful contributions by conducting research on foreign currencies, assembling pitch books for prospective clients and sharing my thoughts on derivative strategies that could help clients further their success. This involvement allowed me to gain a better understanding of corporate risk management, how economic and political conditions impact the foreign exchange and interest rate markets, and the various ways the bank works with clients to best meet their unique risk profiles and goals. 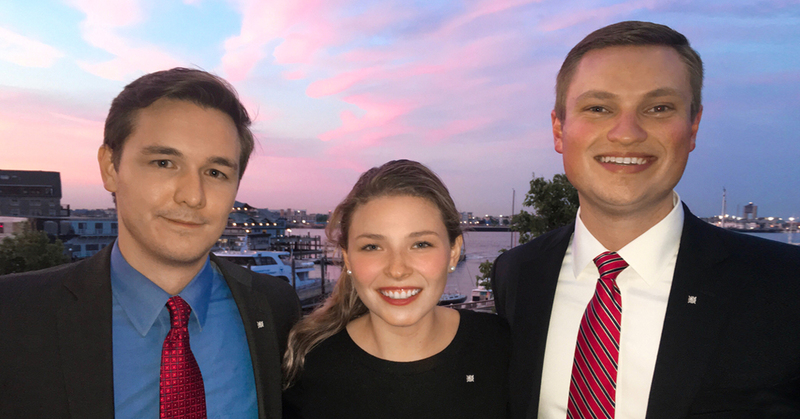 The Global Markets rotation was invaluable as I was able to experience the real-world application of topics I learned in college, which has provided me a deeper understanding of banking and the financial industry. My experience in Global Markets has been interesting and enriching for my career. I started in this business line as an intern, and was instantly struck by how dynamic the job is. I loved the speed and interconnectedness of the market, especially on the Foreign Exchange desk. A currency’s value moves significantly day-by-day depending on economic releases and sentiment, political developments, trade figures, etc. Now as an analyst, I love being able to see how our market knowledge is used to help our clients reduce their foreign currency risk. The trading desk I worked on was also an incredibly collaborative space. Senior managers sit and converse with their associates and analysts, which enabled me to learn not only from my peers but also from seasoned professionals with years of experience. The Global Markets rotation solidified my understanding of the Foreign Exchange and Interest Rate Derivative products Citizens offers. The culture of the trading desk is fast-paced and teamwork-oriented; every colleague plays a critical role in the chain of operations. I feel like the rotation was a great learning experience and that I’m a better banker for having gone through it. Click below to learn more about our exceptional Commercial Banker Development Program and how it can prepare you for a promising career in Commercial banking.